(Natural News) It is well-known that the use of pesticides can have deleterious effects on nature. 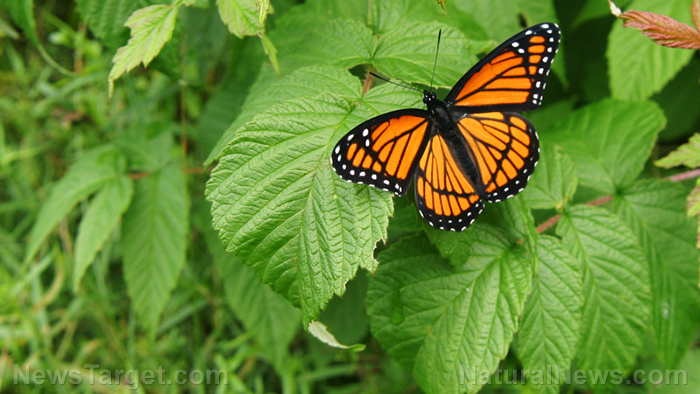 Now, the latest casualty could soon be the majestic monarch butterfly as its very existence is thought to be threatened by the overuse of pesticides targeted towards milkweed. This is based on information from an announcement made by Mexican officials last month, which revealed that the number of known overwintering monarchs went down an estimated 14 percent from a year ago. It is said that the overall population of the monarch butterfly had already declined about 80 percent over the last two decades, which means that there may not be that many butterflies left. This is a problem because it could lead to them becoming extinct — soon. The pesticide makers themselves have made some projections, and they see that the potential for dicamba damage is about to increase even further – by about 100-fold — thanks to U.S. farmers using it over the next two years alone on up to 60 million acres of farmland. That’s an area that’s larger than the state of Minnesota, which should help put things into perspective as to how the use of the pesticide can be so devastating. In one analysis, it was shown that peer-reviewed research supported the idea that even just one percent of the so-called minimum dicamba application rate would be effective in reducing the size of milkweed as well as wither the leaves which caterpillars rely on for food. Dicamba is simply far too strong in its current state, and some experts say it could cause even more harm to milkweed than glyphosate, another form of pesticide. Meanwhile, the Center for Biological Diversity’s website shows an interactive mapping tool which illustrates that the actual timing and geographical distribution of dicamba has a coincidental link with the presence of monarch butterfly eggs and larva on milkweed. Additionally, dicamba is also known as capable of harming other flowering plants which can provide nectar to adult butterflies during their travels to the South for the winter. In short, a check needs to be placed on its use, or else the world might end up seeing what kind of disastrous effects that losing the likes of monarch butterflies would have on the overall ecosystem. Find out more about the destructive power of pesticides and other substances in GMO.news.